The most enjoyable aspect of homebrewing for me is the ability to split batches and compare two different ingredients or processes. Specifically, I love doing a batch and splitting the wort into two fermentors and using different yeast strains. I am constantly scouring the internet, trolling forums, and asking other homebrewers about new yeast, hops, and to a much lesser extent, malt. 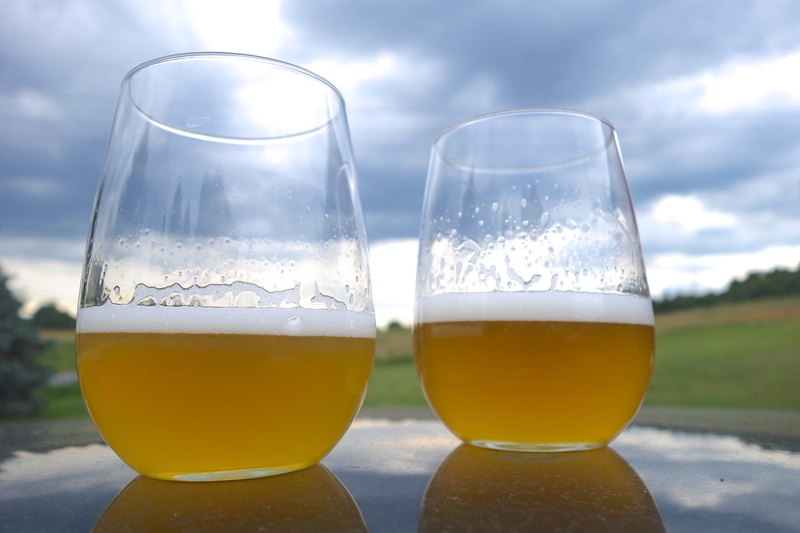 I believe there are tons of other homebrewers out there just like me and the recent explosion of new yeast companies and new hop varieties has me scrambling to keep up with my side-by-side comparisons. Here is a look into one I did a while back. After doing a bit of research on “standard” ale strains, I wanted to do some digging for a house saison strain. 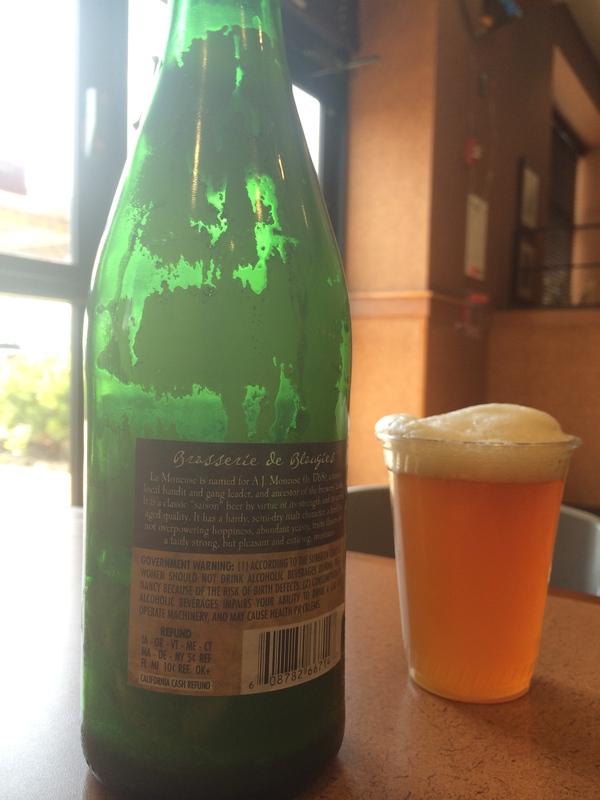 I dabbled a bit with wyeast 3711 and Belle Saison (which I believe to be of similar origins), and half-heartedly explored the Saison Dupont strain, but I wanted something more unique to set my beers apart from the crowd. My recent move to Pennsylvania gave me access to Tired Hands Brewing Co. (THBC), which has opened up my eyes to the possibilities of new and unique hoppy and farmhouse style ales. After a bit of digging, I got a hold of what I believe THBC is using to make their delicious farmhouse creations, East Coast Yeast ECY14. Of course I needed another strain to do this split batch, so when The Yeast Bay started production recently, I scooped up their Wallonian Farmhouse strain, picked a simple saison recipe, and went to work. Appearance. Hazy golden straw with a slightly more persistent head than its Wallonian sister. I guess it’s rustic looking. Aroma. First thing I notice is the distinct farmhouse aroma, earthy and minerally, with some bright straw/hay bouncing around as well. Some lemon peel, and a little bit of black pepper. Initially there was a nice herbal and spicy presence from the Sterling hops that has since faded. Now there is an very slight hint of sulfur and banana once the beer warms that isn’t too much of a distraction. Taste and Mouthfeel. Medium body with a good carb (served on draft), silky smooth mouthfeel that coats the tongue and then the dry finish (1.004) smacks your gums . Slight mineral bite with a lemon rind chaser. Juicy and fruity come to mind as well. Overall Impressions. Very nice strain that is nuanced, balanced, and sets a nice template for numerous farmhouse interpretations (barrel-aging, lacto souring, brett additions). After several fanboy trips to THBC and one recent trip to Hill Famrstead, I think this is the clean Fantome strain they are using. I recently brewed a Farmhands-inspired batch to test this theory that I will bring to the brewery. Appearance. Same golden straw color but a bit clearer than the ECY. Nice lacing left behind. Aroma. Very distinct farmhouse funk to this one, much more herbaceous but a similar stale hay aroma to the ECY (which means the aroma hops are playing a role but seem to be melding seamlessly with the strains). Definitely get more earth, umami, mushroom from this strain in the nose. I keep wanting to same “sharper” aroma but that’s hard to define. Taste and Mouthfeel. Similar but slightly less coating mouthfeel than the ECY, not a bad thing. Lemonheads, bitter orange peel, mineral, funk, earthy mushroom, and mustiness bouncing around. Very distinctly saison, where as the ECY strain might be able to pull off some double duty in the wit, Belgian blonde, and even trappist styles. Overall Impressions. Very enjoyable, nuanced and refreshing saison perfect for year round consumption. I was surprised by the yeast character similarities between the two beers, which leads me to think that all of these saison strains may have originated from one central point, maybe Dupont? I came across a bottle of Blaugies La Moneuse while at the local Wegman’s and decided to give it a go while enjoying lunch with the family. A lightbulb went off as the same distinct rustic mustiness washed over my tongue that the Yeast Bay Wallonian Farmhouse strain must be from Blaugies, rumored to also be Wyeast 3726 Farmhouse Ale. Some quick google geography cross-referencing seemed to confirm my hypothesis. This was once again a very enjoyable experiment that still has me scratching my head as to what my house strain will end up being. I have brewed subsequent batches reusing the yeast cake from both of these beers so stay tuned for more saison related nonsense and nerdy ramblings. First brew on new system, new water, new location. Not bad. I’ve recently invested in a bigger kettle so I can brew enough for split batches. I’m starting with The Yeast Bay Saison Blend v Saison/Brett blend. Cannot wait! Nice! Let me know how it turns out. Oh snap! Guess I’ll have to keep experimenting to find out! Thanks for the info. Cheers! Great post, I love doing split batches as well. There are a lot of similarities in both of our brewing styles, and blogs for that matter, welcome to PA!. One thing I must ask though, what is your source for assuming that ECY14 is what Tired Hands uses, unless you have an inside track there they really arent too forthcoming with what they use. Or was it an educated guess of sorts? Really just an educated guess, but it seems they’re big fans of Fantome and seem to be big fans of keeping it local, yeast-company-wise. I also assumed they might have gone the same path as their house ale strain and got it Hill Farmstead, but again that’s an educated wild guess. I made a clone of the Tired Hands saison using ECY14 but I think the mash temp was too high and it didn’t finish dry enough, should be close enough to do a side-by-side. I’m going there this weekend and will bring back some samples to compare. I’ll keep you posted. You nailed it with their house ale strain for sure. I’m not sure what strain or strains ECY14 is but I’ve talked to Jean quite a few times about saisons and I know its a mixture of yeast and not just 1 strain they use. I know the mixture has Dupont in it for sure because he told me. I’ve also heard that it has Blaugies in it as well but I’m not sure what the ratios are or if there is anything else mixed in.